With some of the best Asian cuisine in the city, the restaurant offers a diverse menu including Japanese and Thai dishes. Among its most popular dishes are its sushi rolls, chicken with ginger sauce, beef with asparagus, salmon in teriyaki sauce, and its fried ice cream. 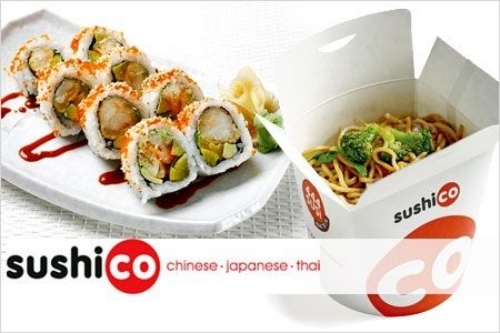 First opened in 1997, SushiCo Restaurant has its Istanbul branches in Suadiye, Levent İş Kule, Nişantaşı, Kanyon, Astoria, Palladium, Altunizade, Kemerburgaz, Bahçeşehir, Ümraniye Meydan, Ataköy Plus AVM and Kavacık. With some of the best Asian cuisine in the city, the restaurant offers a diverse menu including Japanese and Thai dishes. Among its most popular dishes are its sushi rolls, chicken with ginger sauce, beef with asparagus, salmon in teriyaki sauce, and its fried ice cream. With other branches in Ankara, İzmir, Antalya and Cyprus – and its packet service – it is great for all Asian food lovers.